Bublish is a Title III - Regulation Crowdfunding Campaign and is actively accepting investments. You're a writer, not a publisher! Imagine you’re finally ready to write that book you’ve talked about for years. It’s the story you want to tell, and you think readers will enjoy it. It’s the last half of this sentence that creates the challenge. Who are your readers, and how will they find your book? After all, you’re a writer, not a publisher. There are now more than 70,000 books published every month (and growing), according to the latest report from Bowker. This means it has never been more important for indie authors (AKA self-publishers) to understand the business of book publishing—positioning, marketing, design and production, distribution, advertising, metadata, and so much more. At Bublish, we're empowering today’s “authorpreneurs” with a complete publishing platform with built-in marketing, branding and discoverability features. Authors can write, publish, promote, sell and track sales—all from one Bublish dashboard. Think of Bublish as your “publisher in a box” with an expert publishing team, award-winning marketing technology, professional services and innovative programs—all at your fingertips. Bublish is professional indie publishing simplified... And with your help, we're about to make our platform even better by embedding AI and blockchain technologies to help authors position, publish and market better books, more effectively and efficiently... And to a wider audience. Help us build Bublish 2.0 and change the future of publishing! According to The Association of American Publishers (AAP) 2018 StatShot Annual Report, Book publishing is a highly fractured $26 billion U.S. industry in the middle of the biggest disruption since the invention of the Gutenberg printing press in 1440! The first wave of disruption began about 10 years ago with the introduction of the eReaders and the launch of self-publishing platforms. This enabled indie authors to take their work to audiences directly for the first time and made the process of self-publishing much easier. These are typically the skills traditional publishers possess, not necessarily writers. At Bublish, we read great books everyday that haven't found their audience because they weren't properly positioned, packaged or marketed. We're changing that by helping indie authors publish professionally. Think of Bublish like your "publisher in a box." "There is no reason more independent authors can't compete with New York publishers. 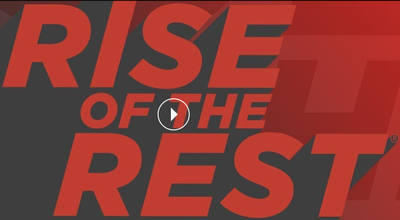 We're watching indies gain market share every day." At Bublish, we're addressing indie authors' what we believe is the biggest pain points with innovative technology and services that offer a seamless, end-to-end solution. Innovative Writing Tools. Write your book on Bublish and share excerpts right from your manuscript with "rough cut" book bubbles. Great for pre-order campaigns. Generate a beautiful eBook with one click when you're finished writing. In Bublish 2.0, you'll be able to export a print book interior with one-click as well. Award-winning Book Bubbles. Share enriched, branded excerpts from anywhere in your book and drive readers to your product pages at all major online retailers—Amazon, Apple Books, B&N, Google Play and Kobo. Real-Time Metrics. See where and when readers are engaging with your book content AND which retailers they've visited to purchase your book. Bublish will put thousands of eyes on your book bubbles, building awareness and driving sales. Bublish 2.0 will give authors even more data to help them make better marketing and publishing decisions. Brand-building tools. Bublish's LinkedIn-style Author Profile showcases your bio and all your books in one place. Audience Development. We put our social following to work for our authors with free, weekly events like Bublish's popular Weekend Reader Marathon. Bublish 2.0 will incorporate additonal audience identification and development tools. Channel Marketing. Not only do we get authors' books into online andphysical distribution channels, we actively promote them in those channels as well. For example, we manage Amazon Ads for our authors for free. We attend American Bookseller Association Discovery shows and exhibit our titles at the American Library Association conferences. We content-market to bookstore buyers and librarians. Author Services. We offer a wide-variety of editorial, design and production services to help authors create and publish a beautiful book. Author Education. In addition to Bublish's weekly blogs and educational newsletter, we host free monthly webinars with the world's top publishing and book marketing professionals. In Bublish 2.0, we'll be baking the educational resources right into the platform with market data and publishing prompts as well as free tutorials and on-demand courses. The self-publishing marketplace is a hodgepodge of service providers. Bublish brings together everything an author needs in one place, with an emphasis on marketing (the biggest pain point for most indie authors). Bublish's built-in marketing solutions (like the book bubble) lets authors invite readers into their stories without feeling like salespeople. Real-time marketing metrics show authors what's working and where. What breaks through all the noise? An author brand. Through innovative design, Bublish helps authors build a recognizable brand in a crowded book marketplace. Our technology spotlights the author as a creator. While our authors use our reader-facing marketing technology, we work backend distribution channels for maximum discoverability. For example, we run Amazon ads and market to librarians and bookstores. We're building the next wave of Bublish technology to give indie authors the competitive edge they need. In 2019, we will introduce “game-changing” proprietary technology driven by artificial intelligence and blockchain technologies to help independent authors position, publish and market better books, more effectively and efficiently...and to a wider audience. We will automate key processes and services on the Bublish platform to improve efficiencies and reduce costs and time to market for indie authors. When we launch these new features, indie authors will finally have access to the guidance and marketplace data they need to publish books on par with New York publishing houses, and to get those books in front of their target readers across the globe. Meanwhile, we believe their costs to publish these books will go down and the opportunities to generate more revenue from their books will grow. Having been a part of the media and publishing industry for more than 25 years, Bublish Founder and CEO Kathy Meis began watching the rise of self-publishing about a decade ago. At first, the problem for indie authors was getting their books into the marketplace in the right formats. But with the explosion of indie and traditional titles hitting shelves the past few years, the problem shifted to marketing and discoverability. With millions of new books published every year (Bowker), how could indie authors get their books discovered by readers? With a focus on this new pain point, Bublish was born with a mission to empower "authorpreneurs". Over the past few years, Bublish has expanded from its initial marketing technology offering, and has evolved into a full-service provider of author services and global print and digital distribution. We are now a one-stop shop for everything an indie author needs, and have the benefit of working with authors throughout the lifecycle of their books. Now, we're ready to write the next chapter of Bublish's story...and we need your help. In 2019, we will introduce “game-changing” proprietary technology driven by artificial intelligence and blockchain technologies to help independent authors position, publish and market better books, more effectively and efficiently...and to a wider audience. With your investment, we want to give indie authors access to the guidance and marketplace data they need to publish books on par with New York publishing houses. We will give them the tools to get their books in front of their target readers across the globe while lowering their costs to publish and growing their opportunities to generate more revenue from their books. We're out to disrupt the future of publishing and level the playing field for talented indie authors. If you believe in our mission, help us shake up the future of publishing with Bublish 2.0. We are passionate about publishing great books and have the experience and key connections to shape the future of independent publishing. Founder and CEO Kathy Meis is an entrepreneur, writer and editor with more than twenty-five years of experience in the media and publishing industry. She has worked for such iconic editorial brands as CBS and Forbes, Inc, where she reported directly to Tim Forbes. She is a frequent blogger and speaker on a wide variety of topics, Kathy has become a sought-after expert on the topic of independent publishing and disruption in the publishing industry. She has spoken at Book Expo America, Women in Media, GrubSteet, PubSmart, AuthorYOU, and IndieRecon, among others. The Bublish Board, Board of Advisors and Team is made up of publishing industry veterans with experience at some of the top companies in publishing as well as extensive experience scaling publishing, eCommerce, technology and SaaS companies. We invite you to explore our Team Page to learn more about the brains behind Bublish. $13/share of Class B Common Stock│When you invest you are betting the company’s future value will exceed $9.1M. Investments made 24 hours after launch, and prior to the end of the 15th day of the offering will receive a 10% bonus on shares received. $250+ — If you invest $250-$499, you will receive one year of Bublish for free and a copy of Bublish's Indie Publishing Guide. $500+ — If you invest $500-$999 , you will receive one year of Bublish for free, a copy of Bublish's Indie Publishing Guide, and 10% off your first order of Author Services (up to $10,000). $2,500 — If you invest $2,500-$4,999, you will receive two years of Bublish for free, a copy of Bublish's Indie Publishing Guide, 20% off your first order of Author Services, and a free Book Positioning Consultation. $5,000 — If you invest $5,000-$9,999, you will receive free Bublish account forever, a copy of Bublish's Indie Publishing Guide, 20% off your first order of Author Services, a free Book Positioning Consultation, and a free Retail Product Page Assessment or Consultation. $10,000 — If you invest $10,000-$19,999, you will receive a complete publishing package with a free Bublish account forever, a copy of Bublish's Indie Publishing Guide, a free Book Positioning Consultation and a free Retail Product Page Consultation. *All perks can be gifted and will occur after the offering is completed. Join us in our quest to shape the future of indie publishing. Invest in Bublish today! Feedspot names Bublish as one of the top Book Marketing Blogs and Websites for Book Marketers in 2018. Feedspot analyzed thousands of blogs and websites in their index our index using search and social metrics. Bublish is named by The Tech Tribune as one of the top tech startups in Charleston, SC. 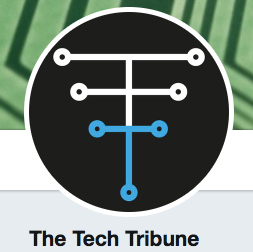 The Tech Tribune staff based their decision on the following factors: revenue potential, leadership team, brand/product traction, competitive landscape. Bublish was selected as one of the eight startups in Charleston to pitch Steve Case during his "Rise of the Rest" Tour's stop in Charleston, SC. Company Repurchase Right: The Company may, at any time after the closing of this Offering, repurchase the Securities from the undersigned, by delivering the undersigned written notice of such repurchase along with payment for the Securities. The payment for the Securities shall be based on the higher of (1) the valuation of the Company at such time, and (b) 200% of the Subscriber’s investment. Upon delivery of such notice and payment, the Securities shall automatically be deemed repurchased and cancelled. If you invest $250-$499, you will receive a one-year subscription to Bublish for free and a copy of Bublish's Indie Publishing Guide. If you invest $500-$999, you will receive a one-year subscription to Bublish for free, a copy of Bublish's Indie Publishing Guide, and 10% off your first order of Author Services (up to $10,000). If you invest $1,000-$2,499, you will receive a two-year subscription to Bublish for free, a copy of Bublish's Indie Publishing Guide, and 15% off your first order of Author Services (up to $10,000). If you invest $2,500-$4,999, you will receive a two-year subscription to Bublish for free, a copy of Bublish's Indie Publishing Guide, 20% off your first order of Author Services (up to $10,000), and a free one-hour Book Positioning Consultation. If you invest $5,000-$9,999, you will receive a free lifetime subscription to Bublish, a copy of Bublish's Indie Publishing Guide, 20% off your first order of Author Services (up to $10,000), a free one-hour Book Positioning Consultation, and a free Retail Product- Page Assessment. If you invest $10,000-$19,999, you will receive a complete publishing package with a free lifetime subscription to Bublish, a copy of Bublish's Indie Publishing Guide, a free one-hour Book Positioning Consultation and a free Retail Product-Page Assessment. Bublish, Inc. will offer 10% additional bonus shares for all investments that are committed, within 24 hours of this offering going live, by StartEngine Crowdfunding Inc. shareholders who invested over $1,000 in the StartEngine Reg A offering which closed earlier this year. StartEngine shareholders who invested $1,000 or more in that StartEngine Reg A offering will receive a 10% bonus on this offering if they invest within a 24-hour window of this offering’s launch date. This means you will receive a bonus for any shares you purchase. For example, if you buy 10 shares of Class B Common Stock at $13 / share, you will receive 11 shares of Class B Common Stock, meaning you'll own 11 shares for $130. Fractional shares will not be distributed and share bonuses will be determined by rounding down to the nearest whole share. The Company might incur Irregular Use of Proceeds that may include but are not limited to the following over $10,000: Salary payments made to one’s self, a friend or relative. As you might know, Bublish has exceeded its minimum funding goal. When a company reaches its minimum on StartEngine, it's about to begin withdrawing funds. If you invested in Bublish be on the lookout for an email that describes more about the disbursement process. 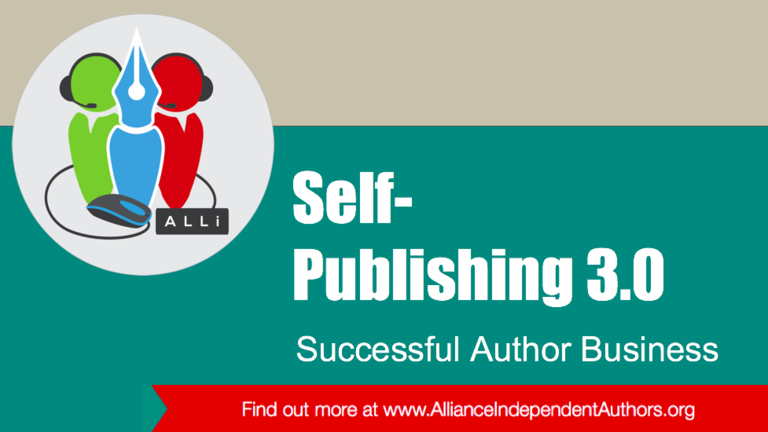 The Alliance of Independent Authors (ALLi) is the world's largest professional association for authors who self-publish. This global, nonprofit brings together the world’s best indie authors, advisors and services, offering contacts and campaigns, education and collaboration—together with trusted guidance on how to self-publish well. Today, February 11, Bublish Founder and CEO Kathy Meis shared a guest post on the Alliance's blog: "Why AI & Blockchain Will Be Game-changers for Indie Authors"
For those of you who missed the live demo of Bublish last week, you can find the replay below. The demo provides an overview of the platform's current technology and feature set. Next week, Bublish Founder Kathy Meis and Tatras Data's Noah Gresham and Dr. Sarabjot Sing Anand will explore Bublish's vision to embed Artificial Intelligence and Blockchain technology into the Bublish platform to give independent authors a game-changing publishing experience. Bublish 2.0 will offer authors the crucial business and marketing information they need in order to publish more marketable books, promote them more effectively to a target audience, and help them reach a global audience. Join Bublish Founder Kathy Meis and Tatras Data's Noah Gresham and Dr. Sarabjot Sing Anand to explore Bublish's vision to embed Artificial Intelligence and Blockchain technology into the platform to give indie authors a game-changing publishing experience. We'll discuss how Bublish 2.0's AI and Blockchain features will provide the crucial business and marketing information indie authors need throughout the publishing process—from writing a more marketable book, to making informed business and marketing decisions throughout the editorial, design and production phase of the publishing process to launching your book the right way and capitalizing on money-making opportunities like the big publishing houses do. There will be plenty of time to answer your questions as well. If you're interested in seeing what the future of indie publishing looks like, please join us for this free webinar on Wednesday, February 13 at noon ET. Can't make the live event? Register to automatically receive the replay. more about the Bublish investment opportunity for "author investors." Can't make the live event? No worries. Register to automatically receive a link to the video replay. For the past year, the team at Bublish has been working to reimagine the publishing process for indie authors. Everyday, we see great stories that don't find their place in the book market because the author didn't have the necessary knowledge to position and market their book correctly. We want to change this, and we've figured out a way to give authors the information they need with the help of Artificial Intelligence and Data Science. Indie authors now represent 20% of the revenue in U.S. Publishing, which is a $26 billion industry. We know indie-author market share could grow exponentially, if only they had more guidance about the business-side of publishing (editorial, design, production, positioning, marketing and distribution). Bublish 2.0 will have this guidance baked right into the publishing process. When its launched, indie authors will finally have the knowledge they need, when they need it, so they can make more informed decisions and create more marketable books. We're kicking off 2019 with the launch of our StartEngine page to raise funds to bring this vision to reality and even the playing field for talented indie authors. We made the official announcement on our webinar earlier today. Our guest was Orna Ross, founder and director of The Alliance of Independent Authors, which is based in London. Orna is an award-winning and bestselling author as well as a tireless advocate for independent authors. She was named "one of the 100 most influential people in publishing" by The Bookseller magazine.